Write a Better Resume. Get a Better Job! 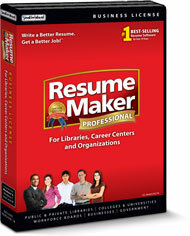 To receive information about ResumeMaker Professional Network Version Business License, please provide the information below, including your mailing address.